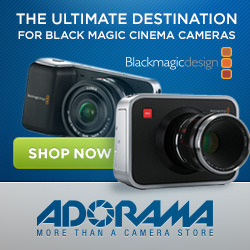 Hybrid Camera Revolution: Blackmagic Design announces audio meters, time-to-go & histogram for the Production Camera 4K! Blackmagic Design announces audio meters, time-to-go & histogram for the Production Camera 4K! Finally! Today, Blackmagic Design announced the release of firmware update 1.9 for the Production Camera 4K, delivering long-awaited features such as audio meters, SSD record time remaining and a histogram - all in a semi-transparent "heads up display" at the bottom of the screen. Sadly, this update is not yet available for long-suffering Blackmagic Cinema Camera owners or for the entry-level Pocket Cinema Camera, but Blackmagic assures us that this upgrade will roll out for the other cameras in the Blackmagic line over the next few weeks. Fremont, CA - July 24, 2014 - Blackmagic Design today announced the immediate availability of Camera 1.9 software which includes new “heads up display” on screen metering that provides customers with histogram, peak audio meters and recording time remaining for the Blackmagic Production Camera 4K. 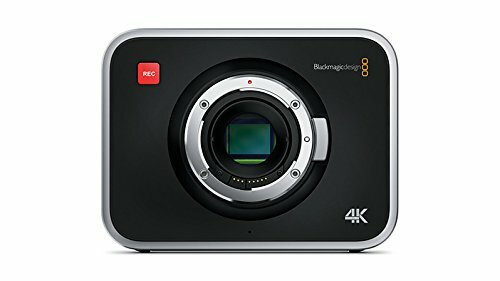 Another hat tip to Blackmagic Design for making these amazingly capable and affordable cameras more usable - but it would have been nice to have these basic features built-in when they were shipped.